Trident Sponsors will be able to display a small logo in the TVR Program. This level includes tickets for 6 guests with early access to the event for a VIP Reception, and an active duty member at your table. All In Sponsors will have a table dedicated to their organization and may display a logo in the TVR Program. This level includes tickets for 8 guests with early access to the event for a VIP Reception, and a Gold Star and/or active duty member at your table. Title Sponsors will have a full page company logo in the TVR Program, two tables with a organization logo displayed on each table, tickets for 18 guests with early access to the event for a VIP Reception, and an active duty and/or Gold Star member at your tables. I have read and agree to the Terms and Conditions and give my consent to All In All The Time Foundation to process my personal data. I understand I can revoke this consent at any time. Thank you for your interest in the first ever Tommy V Revelry Bakersfield to benefit the All in All The Time Foundation. Tom Valentine was a U.S. Navy SEAL who served 18.5 years with the majority of his career at Development Group. Tom Lost his life February 13th 2008 in a skydiving accident. Tom's wife Christina, through her loss, saw the need to help the other families of Naval Special Warfare that have experienced the same loss. 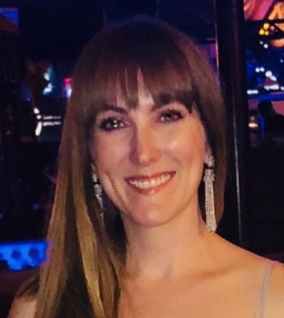 She started All in All The Time Foundation to provide support for surviving spouses, children, and operators whose needs do not fit into the standard non-profit organization prerequisites. These non-standard needs can include things like: legal fees, wills, estate management, household and auto repairs or modifications, counseling assistance (outside of the military chain) and various critical, immediate support categories. With the ever-changing needs of the Special Operations community, AIATT has expanded its profile to reach out to not only Gold Star Families, but active-duty and retired members of NSW. We will provide support for Injury Recovery, Transition Assistance, TBI (Traumatic Brain Injury) and PTS (Post Traumatic Syndrome) related needs, and scholarships for active and retired SOF veterans. All in All The Time is a small organization that fundraises with very little overhead operating costs. This is to ensure that all funds that are raised go to benefit those who have sacrificed so much. Britt Slabinski is from Northampton, MA. He earned the rank of Eagle Scout at age 14 and upon graduation from high school in 1988 enlisted in the U.S. Navy. Slabinski attended boot camp in Orlando, Florida. Upon completion, he received orders to attend Radioman Class "A" School in San Diego, California. There, he trained on the basics of naval communications graduating in spring 1989. Fulfilling a life-long dream to be a U.S. Navy SEAL, he qualified and was accepted into Basic Underwater Demolition/SEAL training (BUD/S) at Naval Amphibious Base, Coronado, California. He graduated in January 1990 with BUD/S Class 164. Slabinski's operational assignments include SEAL Team FOUR, Naval Special Warfare Development Group, and Command Master Chief of Naval Special Warfare Tactical Development and Evaluation Squadron TWO. He was the Senior Enlisted Advisor of the Joint Special Operations Command, Washington, DC Office, and Command Master Chief, Naval Special Warfare Group TWO. Slabinski retired after serving as Director of Naval Special Warfare Safety Assurance and Analysis Program. He has completed 9 overseas deployments and 15 combat deployments in support of the Global War on Terrorism, including Operations ENDURING FREEDOM and IRAQI FREEDOM. Slabinski has various military and civilian qualifications including Naval Special Warfare Scout Sniper, Military Free Fall Parachute Jump Master, and has an Emergency Medical Technician/Paramedic National Certification. He is a graduate of the U.S. Navy Senior Enlisted Academy and Command Leadership School. Slabinski was awarded the Medal of Honor from President Donald J. Trump during a White House ceremony May 24, 2018 for his actions during combat operations on March 4, 2002 while deployed to Afghanistan in support of Operation ENDURING FREEDOM. 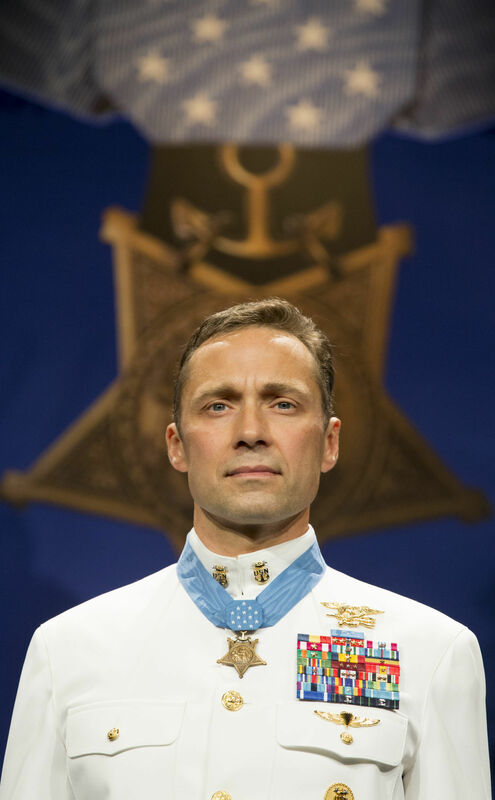 Slabinski's other military decorations include the Navy/Marine Corps Medal; Bronze Star with Valor (five awards), Combat Action Ribbon (two awards), Defense Meritorious Service Medal (two awards), Meritorious Service Medal (two awards), Joint Service Commendation Medal (two awards), Joint Service Achievement Medal, Navy and Marine Corps Achievement Medal (two awards), and Good Conduct Medal (8 awards). Slabinski retired in June 2014 after 25 years of service and is self-employed as a corporate consultant. He has one son who is also an Eagle Scout. Courtney Retzer Vargo is the surviving spouse of US Navy SEAL Tom Retzer who was killed in action while serving in Afghanistan, June of 2003. While raising her two young children who were just 2 and 5 at the time, she worked to finish her bachelors degree and then went on to graduate school. She is a practicing Occupational Therapist specializing in upper extremity rehabilitation, passionate in helping patients achieve their goals. Chelsea Dow was born and raised in Bakersfield attending local schools including Saint Francis Elementary and Garces Memorial High School. She graduated from Garces in 2003 and started attending Bakersfield College. She realized that her true passion and love was cooking so she attended Culinary School at Le Cordon Bleu in Pasadena, Ca specializing in desserts and pastries. After graduating from school, she stayed in Pasadena for some time to gain experience in the restaurant industry. Eventually Chelsea moved back to Bakersfield and started working at Moo Creamery. Chelsea then got a job at The Padre Hotel as the Pastry Chef and Sous Chef. She has also dabbled in a few different jobs. After a few years, Chelsea started a family and got married. She realized that spending time with her family is what she would prefer to do right now rather than working the long hours in the kitchen. Chelsea is now married with 2 great kids and works at the Boys and Girls Club of Kern County as the Administrative Assistant. Even though she isn't working in a kitchen now, she still stays busy making food and desserts for family and friends including weddings and non-profit events.